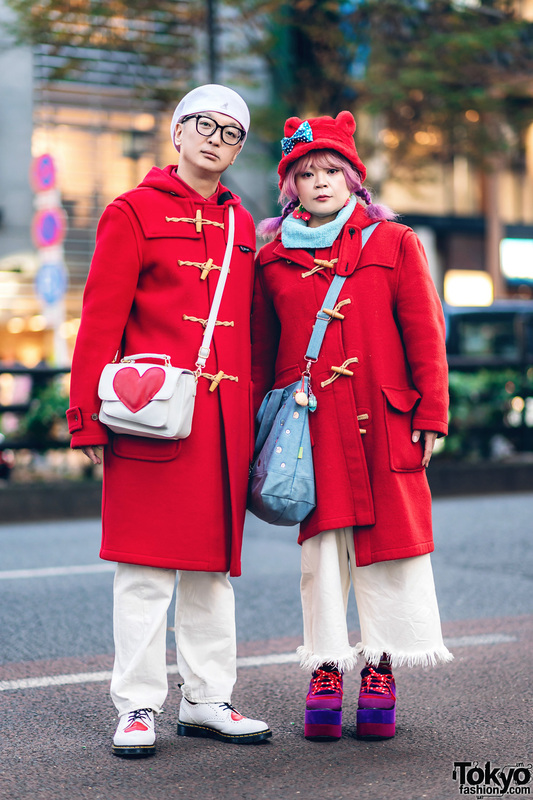 Harajuku couple sporting matching red toggle coats while out and about on the street. Japanese student sporting purple spiky hair and remake outfit while out and about on the Harajuku street. 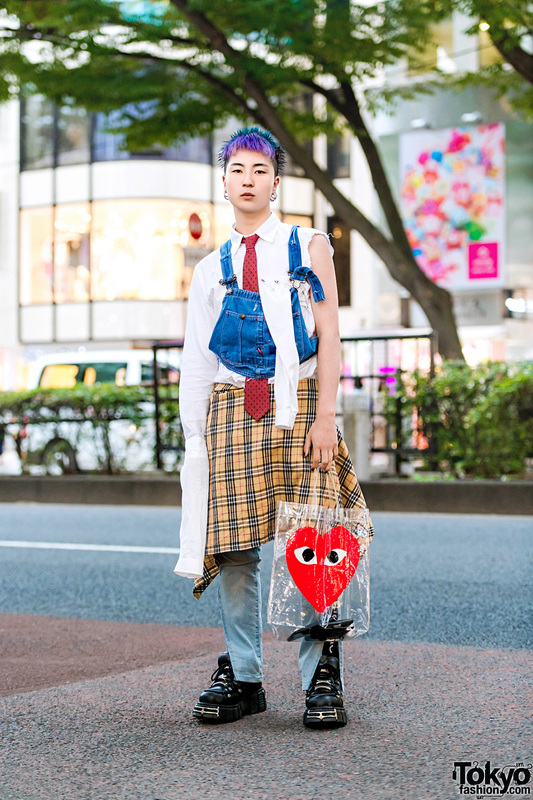 Harajuku girls in colorful street style looks while out walking along the street.